Register today and deposit £40. You will get £100 to play with! You’ll also get 10 free spins every day for the next 4 days, and 14 days free access to our exclusive new players bingo room where you can enjoy free games, cheap tickets, chat games and great prizes. Register today and deposit £40. We will top your deposit up with £60, so that you have a total of £100 to play with! As a new player you will get 14 days free access to our exclusive new players bingo room. Enjoy free games, cheap tickets, chat games and great prizes! If you want to win big, why not try your luck with the slot machines? After your first deposit you will get 10 free spins on all time favorite slot machine Starburst, every day for 4 days. 18+ www.begambleaware.org. Offer only valid for new depositing player since 15/12/2015. Valid for UK residents aged 18+ only. Only one bonus per customer, household, shared computer or shared IP address. Customers found to be signing up for multiple accounts to redeem the bonus will have their accounts closed and any winnings will not be paid out. DEPOSIT £40, PLAY WITH £100: Once you have registered and opted in to this offer, you will receive a 150% Bonus up to £60 on your first deposit of £10 or more and 10 free spins for 4 days (40 free spins in total). Your deposits of £10 or more must be made in one single transaction. The maximum bonus amount given is £60. After accepting the bonus offer you will have 7 days to make your deposit, after this time the offer expires. Bonus money cannot be withdrawn. All winnings gained with the bonus money cannot be withdrawn until bonus is wagered. The wagering requirement for the bonus is 40 times in order to redeem any bonus winnings. (Game stake contributions apply). Bingo.com reserves the right to withdraw or change this bonus offer at any time. • General terms and conditions apply. FREE SPINS: After the first deposit, you will receive 10 free spins on Starburst on the next four working days. The wagering requirement for all winnings from free spins is 15 times the winnings. (Game stake contributions apply). 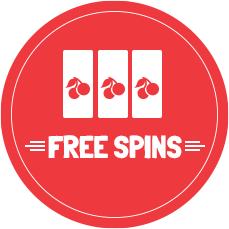 Daily spins will expire 24 hours after reaching your account. GAME STAKE CONTRIBUTIONS: All Slot games have a contribution weight of 100% towards the wagering requirements. Casino table games and video poker games, including Roulette, French Roulette, Blackjack, Roulette Pro, Jack or Better, Deuces Wild, Joker Wild, All American, Classic Jacks or Better and Deuces Wild, have a contribution weight of 10% towards wagering requirements. Bingo has a contribution weight of 200% towards the wagering requirements. Bingo side games/ bingo slots have a contribution weight of 100% towards the wagering requirements, whilst table games found within the bingo client have a contribution weight of 10%. BONUS ABUSE: If a player has an active bonus and wins more than twice the value of the bonus amount, they must stay playing in a game of similar or equal weighting until wagering has been completed. Moving from low weighted games like Blackjack, to high weighted games like slots, after a large win, for the sole purpose of completing wagering requirements, will result in the bonus and any winnings being removed. All withdrawals will be subject to an internal audit before being processed. Bingo.com reserves all rights to void Bonuses or any winnings for failed audits. Player hereby consents in advance to same. Among various abusive strategies and patterns we feel it is imperative to emphasize that customers cannot bet more than 30% of the bonus amount in a single bet or game round on any of Bingo.com games for the duration of the bonus, otherwise the bonus and all associated winnings may be voided. Any player found to be abusing bonus funds on slot games with a progression mechanic (e.g. Super Monopoly Money, Castle Builder, Tower Quest) are liable to have any winnings confiscated and may have their account closed. These Promotion Terms and Conditions including any applicable instructions on uk.bingo.com ("Promotion Terms") apply to all Bingo.com promotions. By entering you accept and agree to be bound by these Promotion Terms. In addition, Bingo.com’s standard Terms and Conditions ("Standard Terms") also apply (available at uk.bingo.com). In the event of any difference between these Promotion Terms and the Standard Terms, these Promotion Terms will prevail. No employees of Bingo.com and its affiliated companies, or family members of employees and affiliated companies, may take part in promotions. Unless confirmed otherwise by Bingo.com in writing: (i) promotions are available once only to any registered account; and (ii) bonuses cannot be used in conjunction with, or to qualify for, any other uk.bingo.com promotional offer. 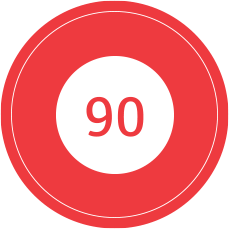 Bingo.com reserves the right acting reasonably to withhold, restrict or cancel this offer from individual account holders in at its reasonable discretion and without prior notice, in the event that an entry is made in breach of the Promotion Terms and/ or the Standard Terms. Otherwise amendments to the bonus will not be made after you are opted in, unless you accept any such amendments. Bingo.com’s decisions in respect of any matter(s) concerning a promotion are final. Bingo.com may reclaim any bonus amount or enhanced payments that have been awarded in error. Bingo.com may, at any time, make minor amendments to this promotion to correct typographical errors or to improve on clarity or customer experience and may cancel this promotion for legal or regulatory reasons. Bingo.com accepts no responsibility whatsoever for system or connection problems that might affect any end user during any of these promotions.